Be Sure To Check Out My Radio Show At WWW.TALKTIMERADIO.COM Monday- Thursday At 7:15 AM! 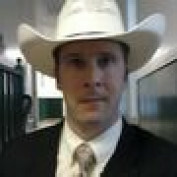 Joshua C. Rarrick is a writer and SEO specialist who is based in Stockton, Missouri. He writes about topics ranging from politics and technology to personal beliefs and religion. Currently, Joshua works for Agape Boarding School in Stockton, where he is learning more about human behavior every day. When he is not writing, Joshua enjoys spending time with his wife, Ashley, and their twin daughters, Hannah and Ava. Aside from writing, Joshua pursues his other hobbies of horseback riding and motorcycle restoration with his wife Ashley, and also enjoys playing music with his friends and family. Joshua is the Co-Founder of Sites N Syllables, a web design company that specializes in high powered websites for clients who want to rank well in search results. Currently his company is proudly known for clients who hold as many as 7 of the top 10 slots in search results for the keywords they selected. 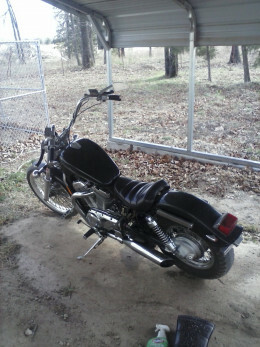 I recently purchased and restored a 1988 Suzuki Intruder VS750. This bike was the very first 750 CC metric chopper. Check out this nice little ride. Here are 4 of the best ways to prank your friends. They'll never see it coming, and you won't be able to stop laughing. Readers beware: some of these ideas may be offensive to the victims. Troubled Teens & Boarding School: Is It A Good Option? Choosing to send your child to a boarding school is a tough decision -- Choosing which one to send him to shouldn't be. Here are some helpful tips to aid you in your choice.